The past week has been a very sad week. 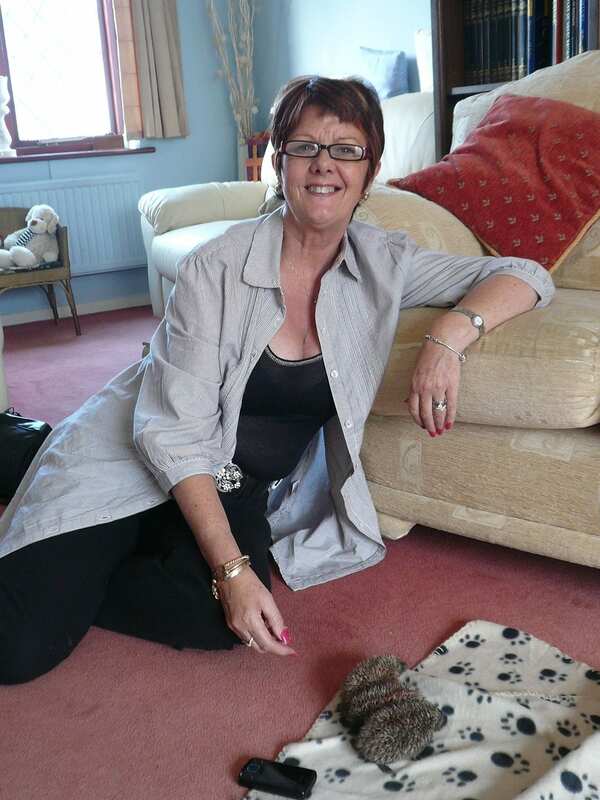 WRAS Trustee Monica Russell, Chairperson, Rescuer, Carer, Fundraiser, Cleaner, Cook and Friend, sadly passed away after her long battle with cancer. Our thoughts are with her husband Brian and daughters Kirsty and Claire who have been so lovingly taking care of her during this difficult time. Monica worked behind the scenes at WRAS, and performed many roles. Her biggest role was hand rearing baby mammals especially hedgehogs and fox cubs. She would often be up through the night to feed the babies, who when very small are often in need of being fed every couple of hours. She would always encourage children around her to watch her feeding and felt that educating children to appreciate wildlife was important. Monica has voluntarily been helping wildlife for over 20 years. She started in a similar way to myself, finding a wildlife casualty and struggling to find anyone to help, other than vets who only offered to euthanize the casualty. Rather than wanting this for a poorly hedgehog she had found, she took it on and it recovered. 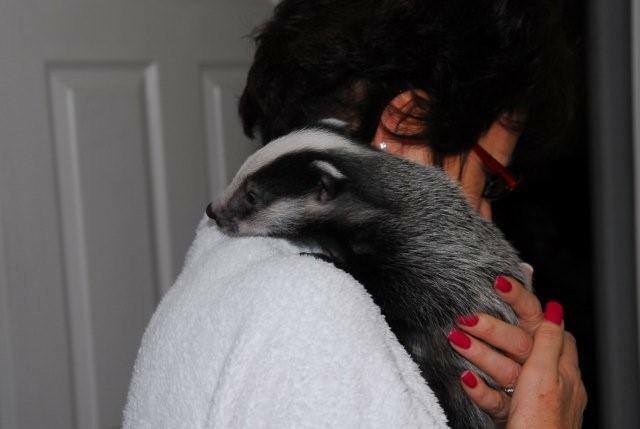 She started working with Folly Wildlife Rescue but when she moved to Eastbourne she started volunteering with WRAS. 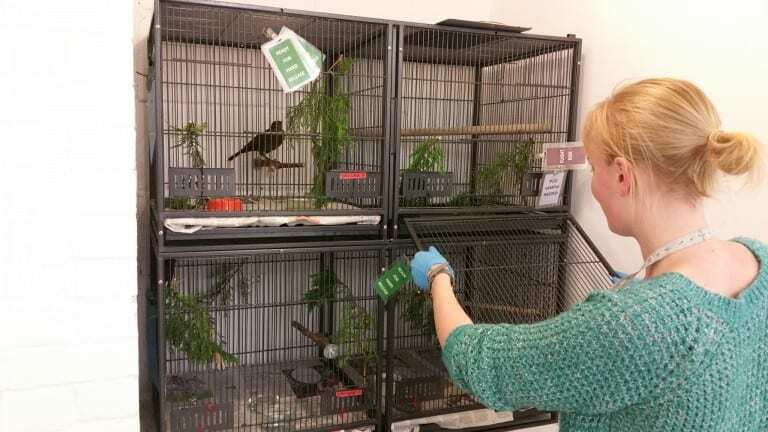 She was an absolute natural at hand rearing and would often take little creatures to work with her to ensure they got the continuing care they needed. 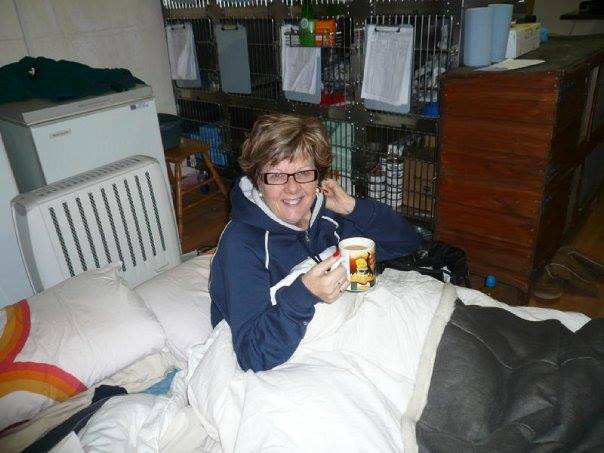 It was not just the orphan rearing Monica was involved in, but she also helped out on rescues, on the committee, at fundraising events, building pens, cleaning, and even stayed over at the Casualty Centre during snow to ensure the casualties would get looked after properly. Staying over at our old centre wasn’t exactly comfortable either. Sleeping on the cold floor was ok, but having hedgehogs snuffling, grunting and chewing their food through the night, as well as the owl flapping its wings, and then at first light the pigeons pecking at seed and flicking it through the bars of the cage at you! I found some old video of Monica helping me catch a swan wandering around the car park at the Fishermans’s Green on Eastbourne Seafront as well as some of her feeding a premature fox cub. You can see our Tribute to Monica on our You Tube Channel www.youtube.com/user/eastsussexwras. Monica was a good all round person who got involved where ever she could due to her compassion and dedication to helping others. She is an inspiration to us all and we hope we do her memory proud and can live up to her dedication and commitment to help wildlife in need. We will miss you Monica and will never forget all you have done for WRAS. Monica loved volunteering at WRAS and we are currently recruiting additional volunteers. So if you are interested in volunteering at East Sussex Wildlife Rescue, helping to clean out hedgehogs, feed baby birds, rescue swans or help in reception please get in touch. We are running some volunteer recruitment sessions for people to find out more. They will be hour long recruitment sessions at 10am, 12noon, 2pm, 4pm and 6pm on Saturday 19th March and Tuesday 22nd March at WRAS’s Casualty Care Centre at Whitesmith which is between Hailsham, Lewes and Uckfied on the A22 and 54 bus route from Eastbourne to Uckfield. The roles we are recruiting for are our Feed and Clean shifts which are 3-4 hours in length either starting 9am or 5pm. This is a vital part of looking after casualties in our care. Receptionists working at least one shift a week, either 9:30am till 1.30pm, 1pm till 5 or 6pm, greeting people coming to the centre, answering the phone, keeping the computer database up to date. Rescuers shifts are either early morning shift 6am till 11am, day time 10am till 6pm or 6pm – 10pm evening shifts. Orphan Rearing Team volunteers work from Easter through till September helping the thousands of baby mammals and birds which need care. We currently have vacancies for Monday to Saturday mornings 7am – 10am and Monday, Tuesday, Saturday and Sunday between 6pm and 10pm. All of these roles require people to commit to at least one shift a week and undertaking the same shift each week. Commitment is important as we have a legal obligation to ensure the casualties in our care are looked after properly so this is not a suitable opportunity for people who are frequently ill or away. We also need people who are fit and able to kneel, bend and lift. Also people will be handling birds and small mammals like hedgehogs so obviously not scared to do so and not afraid to get dirty too. After an induction we will give on-the-job training and volunteers will work as part of team.